This past month I had the honor to work on Laura's quilt for our bee. We extended the first round for a few reasons and now we are finishing up two quilts. 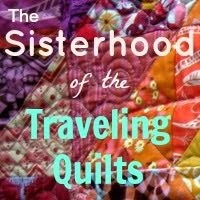 I can't wait to meet all of these ladies at QuiltCon and hopefully we'll bring our quilts (and get a big group picture)! Laura sent along the gorgeous low volume words: "Life is a luminous halo." Here's the original quote by Virginia Woolf: "Life is a luminous halo, a semi-transparent envelope surrounding us from the beginning of consciousness to the end." It's from her essay titled "Modern Fiction." Laura encouraged us to use the "uglies" for our low volume - fabric that isn't calm and doesn't just *fit* right in. Somehow this crazy chaos just works! "Luminous" and a flower Laura made didn't fit on my design wall! 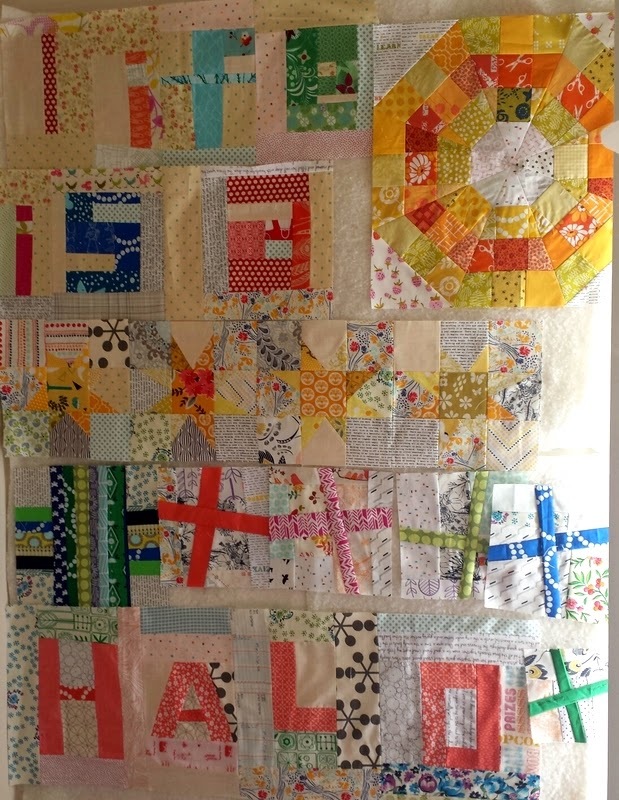 She sent along the line of wonky stars - and I thought it appropriate to make a large scrappy cross (tutorial by The Long Thread), some wonky crosses, and a "halo" (the octagonal orb block by Elizabeth Hartman, which was very time and scrap consuming but worth it!). 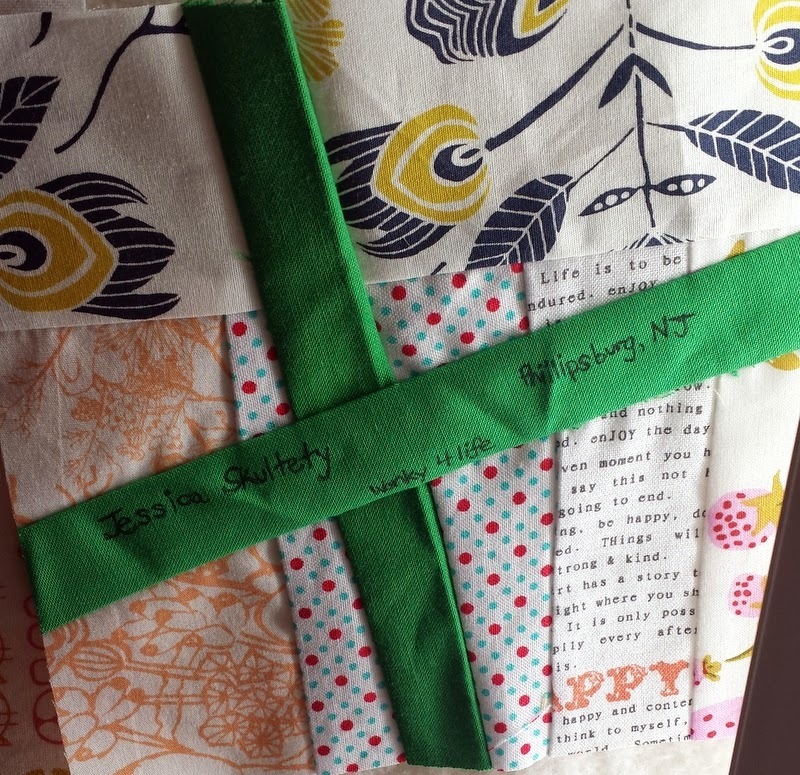 The pluses were fun and relatively quick - I "made fabric" with mine and Laura's low volume scraps by stitching them together and cutting them down into a square. I cut an angle through the square and sewed a strip of fabric through. I made another angled cut the opposite way and sewed another strip, which made the plus (basically, this was a "slice and insert" technique"). They were fun and perfect, I thought, for the sunkissed and scrappy vibe Laura is looking for. I didn't worry about everything matching up perfectly; I just had fun. There's something freeing but also stressful about progressive quilts. On one hand, all of us have given the others free reign - so if there's something you want to try (like the blocks I made for this one), you can just try it! I also feel pressure on myself to create something amazing and fabulous because the ladies I'm working with are so spectacular (wait until you see Renee's quilt!!!). I love that we push each other to do our best work. These ladies are so important to me! 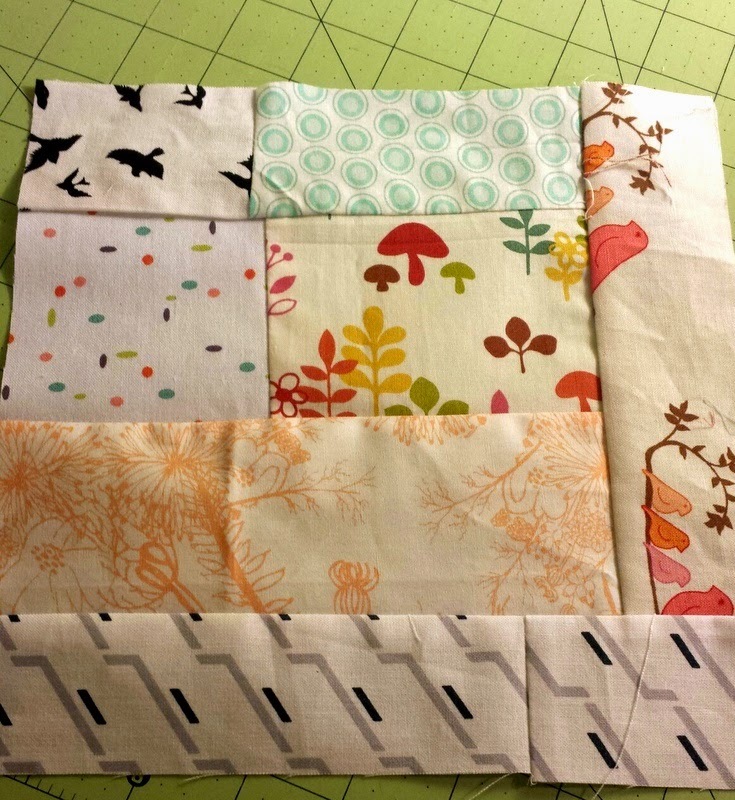 Speaking of progressive quilts, I still need to get mine basted... but first comes Renee's! Your bits are gorgeous!!! But I saw Renee's in person....You're not kidding. :D I know you'll do wonders with it though! I so loled at "wonky 4 life". Also, GAW I came here to see MY quilt after reading just the title of this blog post in my reader and then I see that's about Laura's quilt. Hurrumph. ;-) I love what you've added to this one, especially the octo-orb!